How did your ecommerce website fair in 2017? Did your website manage to get top ranks in Google and other search engines? Was your online presence enough to generate both revenue and traffic? If your answer is on the discouraging side, it’s time you upgrade to the latest SEO optimization strategies. For, only a good SEO strategy can take your business to new heights. Watch out for these ten most promising SEO trends for 2018. Gone are the days when winning the top rank on SERP meant guaranteed clicks and greater traffic. Today, SERP is organized clutter information. Key in one search query and the results are flooded with pictures, videos, list of research articles, social media references, dictionary, list of questions and topics related to the search, a good number of widgets and advertisements. In such a scene, possibilities couldn’t be dismissed off the user giving the top ranking search result a miss. Under this scenario, a mere emphasis on keyword and key phrase optimization isn’t enough. Become a pro in using SERP features like AdWords, Google Shopping, featured snippets, site links, reviews, image and video results, shopping results, tweets, etc. Watch the difference they make to your website traffic. Hiring an ecommerce marketing agency like the Stray Digital can give you an edge over the rest of the SERPs. It’s no secret that smartphones and tablets have overhauled desktops and laptops in internet usage. The smart step here would be to rank well for mobile phones too. A responsive website with faster page loading speed, easy navigation, and simple content structure are some of the desired features. Gadgets are supposed to make life simpler. And speaking is simpler than typing. No surprises that the voice search is catching the fancy of internet users like never before. Introduced by Google in 2002, this feature is popular among smartphone users looking up for products, information and entertainment online. 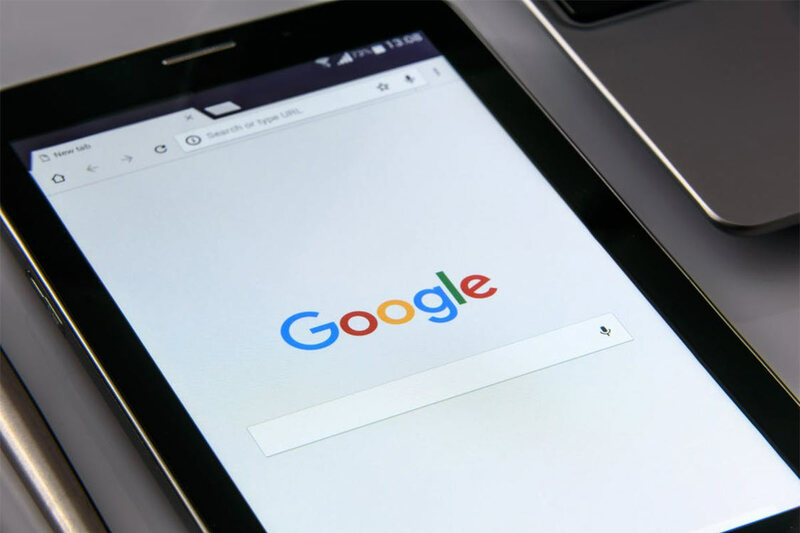 Since the last four years, Google has enhanced the feature that enables users to voice search in five different languages. This effortless, time-saving feature is here to stay for long. So, start shifting focus from typed keywords to conversational terms and phrases people are likely to use during a voice search. If the voice search is optimized, how could have the smart speakers been left behind! A feature enabling spoken search results, smart speakers have taken online sales to a new height. These speakers are activated by a voice search, and enhance users’ search experience with their interactive and entertaining quality. Smart speaker sales for giants like Amazon Echo and Google Home had seen a handsome swell in 2017. With newer models rolling out in 2018, the sales are surely going to see a further hike. Snippets make the first impression on a user’s mind. They are the results that flash on the screen in response to a query. Naturally, it has to be rich enough to catch the user’s notice and curiosity. A rich snippet is the perfect answer to this. Unlike snippets, a rich snippet comes packed with more illustrious features to accommodate more information and graphics. The feature doesn’t directly impact the ranking. But, its more illustrious display surges the click-through rate, meaning a rush in traffic. And hence, there’s an increase in ranking. Take great care in structuring a rich snippet to give your website a dramatic leap in ranking. A fast-paced life is trending. No wonder, the SEO trends revolve around fast page loading. All the efforts you put into Search Engine Optimization would go waste if your webpage doesn’t load at a flickering pace. Google recommends 3 seconds or less as the ideal time taken for page loading. Make the user wait for over 5 seconds, he is sure to leave your page, no matter how perfectly your rich snippet matches his query. Page speed is a user experience feature that is going to be a crucial SEO component in 2018. Optimize your website’s code, resize images, bring down redirects, and limit the plugins on your website to ensure greater page speed. Page relevance can never go out of trend in deciding page ranking on SERPs. The term ‘relevance’ refers to the accuracy of the web page to the search term used. Search engines are committed to providing only the best search results to the users. As such, they take foremost care that the content on display corresponds to the search query. The year 2018 is expected to see some crisper and more accurate page relevancy norms on search engines. Ensure greater page relevancy by publishing longer contents, writing detailed topics, and using keyword synonyms and related phrases along with the keywords. What might look like a mere mention of a brand in another’s webpage, linkless backlinks are emerging as decisive ranking factors for websites in 2018. But all mentions may not be conducive. Investing in a backlinks monitoring software to keep track of brand mentions would be a good idea. Apart from the conventional ranking factors, the SERPs are driven by the individual users in terms of their location, search history and the device used. The search engines smartly collect information about the users from their search histories and browser cookies. They apply the information in ranking the SERPs along with the generic search result factors. The surge in smart speakers, more detailed SERP features, and more convenient search actions are going to stimulate the personalization factor for SERPs like never before in 2018. Thanks to the Smartphones and Google Maps, more and more people are looking up for information about local businesses. People are finding it easier to search for an address, contact numbers and working hours of the local businesses. The online reviews are guiding them in making choices. The FAQ feature in Google Maps enables users to post questions to the businesses to respond as well.